Light and delicious are two simple words to describe this amazing salad. 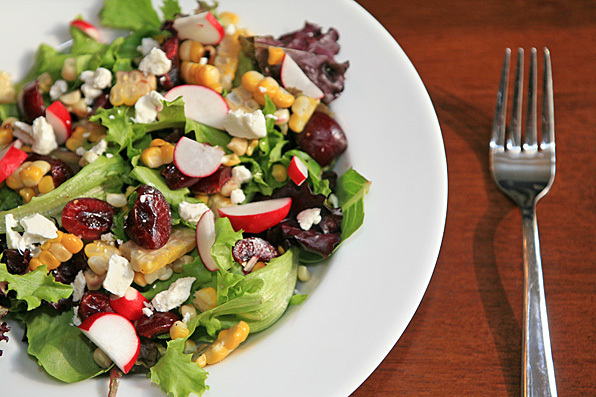 It’s become one of our favorite go-to salads that we make to impress our family and friends. Plus, our dieting plan of dropping a few pounds before the holidays is paying off since we’re eating this salad just about every other day. Add greens to a serving bowl and arrange veggies, fruit and cheese on top. Whisk together the olive oil with the lemon juice. Season with salt and pepper and drizzle down over the salad.